10. 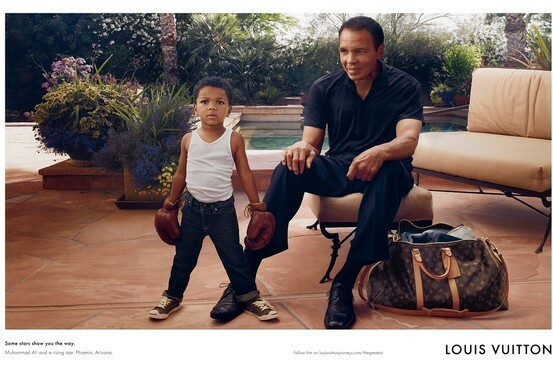 Louis Vuitton - From 2012 at the age of 70 Muhammad Ali appeared in this ad, it ran in magazines and newspapers in 60 countries and captures him in private reverie. Photographed by Annie Leibovitz in his Phoenix backyard. 9. Ford Motorcraft - Ali travels to Alaska for this ad from 1978. 8. Louis Vuitton - In July 2012 Louis Vuitton presented a dedicated digital experience celebrating the inspirational words of Muhammad Ali, with the participation of calligrapher Niels Shoe Meulman and word artist Yasiin Bey (formerly know as Mos Def). 7.Adidas "Impossible Is Nothing" - From Zaire 1974, this ad campaign taps into athletes desire to push themselves further, to surpass limits and break new ground. 6. 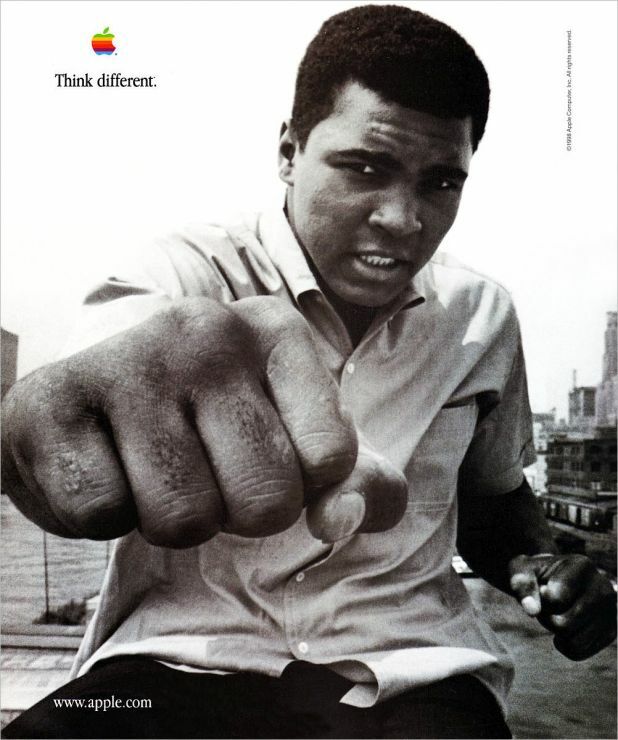 Apple Macintosh - Ali was featured in on of several "Think Different" print ads for Apple in 1998. 5. Pizza Hut - The Greatest surprised us all in this Super Bowl Ad from back in 1997. 4. Under Armour - In 2015 the sporting wear company launched the The Muhammad Ali collection with this web film. 3. 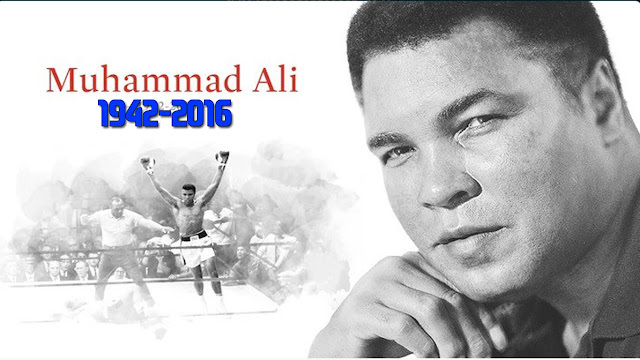 Dr Pepper TV Spot "/1 Americans" - Ali was featured as in this Dr. Pepper commercial from the “Always One Of A Kind, /1 Americans" campaign. 2. 2016 Porsche 911 "Compete" - Three legendary competitors go head-to-head against themselves. Muhammad Ali takes on his doppelganger in the ring, tennis champion Maria Sharapova hits the court with her copy and grandmaster Magnus Carlsen challenges his other self to a game of chess. After intense competition, all three matches end with the better version of each person reigning victorious. A narrator says that this philosophy of greatness coming from within informed the creation of the 2016 Porsche 911. 1. 2015 Toyota Camry "How Great Am I" - Amy Purdy, paralympic athlete and "Dancing with the Stars" contestant, stars in Toyota's Super Bowl XLIX commercial featuring audio from one of the greatest speeches of all time by Muhammad Ali.